Soft Magnetic Vice Jaws Nylon 4 Inches Gun Smith Parts Wood Jewelry Tool Gears . Jaw Width: 3" Overall Length: 6"
Mounting Hole Dia. : Standard Overall Height: 4"
Throat Depth: 1-1/8" Overall Width: 9"
Immediate payment of US $68.98 is required. Very well made and worthy of the brand name Wilton. I looked at similar vices from other manufacturers, but I'm glad I bought this one. It's built to last, and I'm sure my son and my grandsons will appreciate it long after I'm gone. 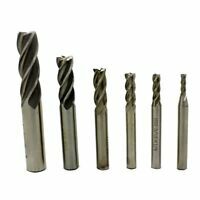 Highly recommended for those who appreciate high quality tools. The vise is a good quality tool and will be useful. I do regret not investing in the vise with x and y directional adjustments. Ideal for at least a 12" drill press. Smooth accurate vise. Fastens easily and makes your work so much safer at a reasonable cost, I highly recommend it and I am happy with the quality and the purchase.